Honey Dijon, The Black Madonna and Ben UFO will play Belfast's AVA Festival this year. The pioneering electronic music event helps to showcase Ireland's club underground - on both sides of the border - while assembling an international line up in Belfast. Returning for its fifth instalment, AVA Festival is set to be bigger and bolder than ever, welcoming potent sets from Honey Dijon, The Black Madonna, and Ben UFO. 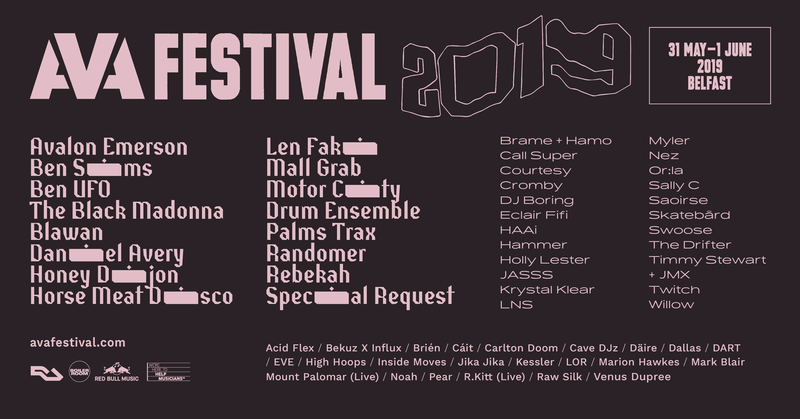 Motor City Drum Ensemble will hit AVA Festival, while Daniel Avery, Horse Meat Disco, Krystal Klear, Cromby, and Swoose will all appear. Expect a host of showcase events, talks, and surprises to be announced in the coming weeks. AVA Festival runs between May 31st - June 1st.